Before the Internet, businesses used to include their listings in local business directories. Remember the Yellow Pages or the Blue Book? You might think they’re old-fashioned now, but actually this process of finding local businesses simply evolved into online local business listings. Search engines are showing local business results that specify industry specialties with a geographic focus, which are getting more and more precise every single day. And you know what? Local search is poised to become even bigger, thanks to the continued growth of online maps, mobile browsing, local search engines, city guides, online review sites, and geo-location services (like Facebook Check-Ins, Foursquare, Google Places, etc.). 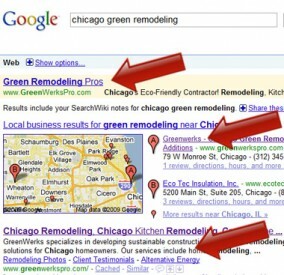 All these make local search or local business SEO a must for your business. Whether you like it or not, you have to get listed. Lakeshore Branding is ready to help. Our team optimizes your local search information and listings, so that when customers conduct a local search, it’s you they find – and not the competitor next-door. We create detailed directory listings, distribute it to all major web search sites, optimize your local information on search engines and geo-location services, and add credibility to your business by providing only the most important and accurate information.